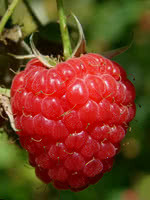 Wyoming Raspberry is a blackberry/raspberry hybrid. 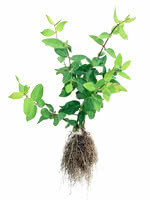 It is a vigorous grower, with canes reaching up to 8 feet, which you must support if they are heavily laden with fruit. The fruit is a deep purple to black drupe, with a flavour between blackberry and raspberry. 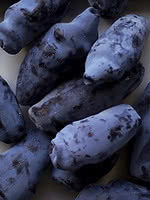 It is more cold hardy than other black raspberry cultivars, suitable to cold hardiness zone 3a. 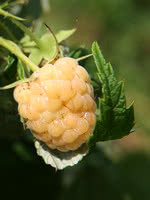 Wyoming Black Raspberry is non-suckering, making it suitable for the small home garden.